Dark-Readers: Blog Tour: An exclusive extract from Jamie McGuire's Beautiful Oblivion. Blog Tour: An exclusive extract from Jamie McGuire's Beautiful Oblivion. Hey guys Hayley here! 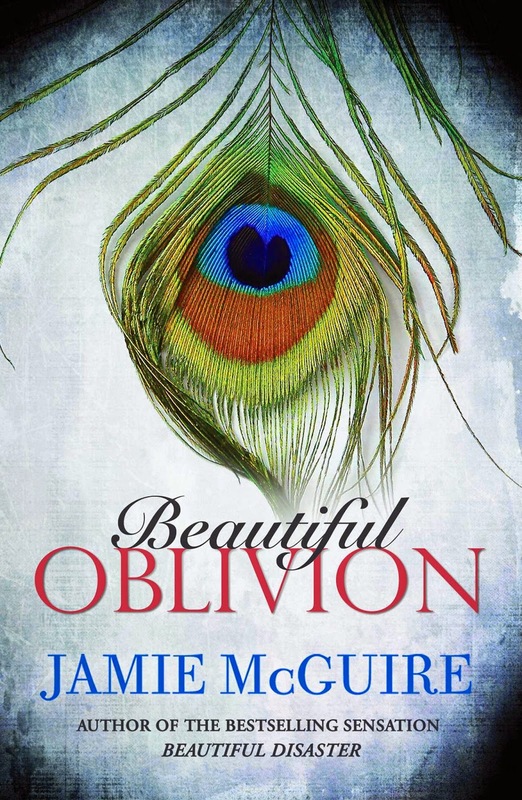 Today Dark Readers are hosting an exclusive extract of Jamie McGuire's Beautiful Oblivion. After a short conversation, Raegan called my name. I stiffened, not sure what to do. Was she trying to prove to him that I wasn’t there? My bedroom door swung open. Instinctively, I jumped back before the wood smacked me in the face. I shook my head, not sure if I should speak. I walked around her and then across the hall to see Trenton standing in the living room, holding a miniature, fluffy pink coat, and standing next to a little girl. She was breath-taking. Her enormous green eyes were like telescopes, disappearing behind her long, dark lashes every time she blinked. Long, platinum hair cascaded down her back and shoulders. She was pinching and pulling at the threads of her mint-green sweater but didn’t take her curious eyes off of me. If you enjoyed this gorgeous extract and want to read more Beautiful Oblivion is released on 1st July 2014.